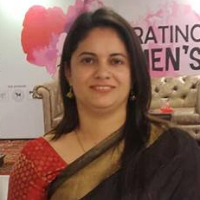 Dr Divya Negi Ghai has done B Com & M Com along with an MA in Economics & an MBA in Finance. She also did a B Ed as she wanted to become a teacher. She also holds a Ph D in Commerce and a Diploma in Entrepreneurship. She has taught at various schools in the past. It is there that she realised the importance of addressing the problems that the youth is facing. She then founded an organisation by the name Youth Rocks Foundation in 2014, with an aim of encouraging the youth to open up about their problems. "I hold degrees in B Com, M Com, MA Economics, MBA Finance & B Ed. I also hold a Ph D in Commerce and a Diploma in Entrepreneurship. I have taught at various schools in the past. It is there that I realised the importance of addressing the problems that the youth is facing. I then founded an organisation by the name Youth Rocks Foundation in 2014, with an aim of encouraging the youth to open up about their problems."